The federal transport and infrastructure portfolio has become a revolving door again, with a fourth man holding the ministerial role in little more than three years. After a six-year period that saw Anthony Albanese bring constancy into the role, Barnaby Joyce is the new incumbent after today’s cabinet reshuffle, following Albanese, Warren Truss and the newly dumped Darren Chester. The lack of continuity has not been seen for about 30 years, when Labor’s Gareth Evans kicked off a period that saw 10 transport ministers from both sides in 11 years. At one stage, Labor had three transport ministers in succession in December 1991, with Graham Richardson then lasting almost six months before Bob Collins took over. 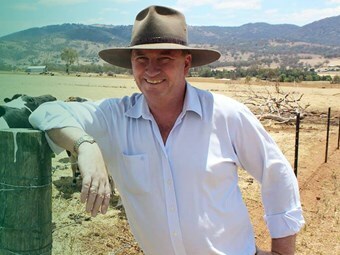 The mainstream media has reported Chester has fallen foul of conservative Queensland fellow Nationals wanting greater recognition and Joyce’s keenness for the Inland Rail project. The media in Canberra in quotes prime minister Malcolm Turnbull as explaining the move on Chester being because "the composition of the ministry has to take into account matters of geography" and directing questions to Joyce. Just days after announcing the National Heavy Vehicle Charging Pilot, there was speculation that urban infrastructure minister Paul Fletcher also was on the way out but at this stage he appears to be staying.